I became a masochist after watching this anime. I have heard that some personality traits are learnt and I experienced it first hand watching this anime. I know better than to expect logic from a shonen anime, but it is too hard with this one. Some characters are shown to be cool and logical in one scene and in the very next, all higher brain functions are out the window. I finished watching the last 6 episodes within 40 minutes and did not really miss much. And in those 40 minutes, I felt intense urge to harm myself for having to put myself to sit through this anime. And the main character is not relatable or fun or interesting. He is as interesting as a bag of potatoes. 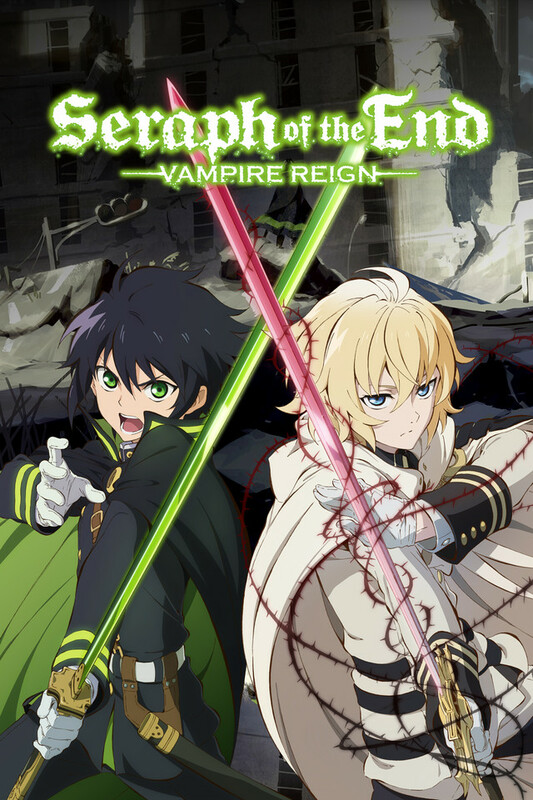 None of the side characters except Mika, Ferid and Guren were interesting or of any major consequence. It is show that exists, because why not. Nothing more to justify its existence. I am giving it two stars only for the animation and character models. If you really like anime like Blue Exorcist, then you'll love this. It has all of the typical characters. It has a bromance. The few episodes are kinda boring, but then it picks up around mid series. It starts to stretch towards the end, especially those last 5 episodes. The worst part is that the series ends unfinished, not that I would watch anymore of this. At this point I am at Episode 12. and In my own opinion it feels lackluster as I said in the title. It has a lot of potential but the fights are almost still pictures half the time, no one feels powerful at all, the interaction between most side characters/ Half MC's seem so boring and not full of emotion, along with that the MC seems so egotistical it makes me vomit. That being said I do like the story, premise, and some of the scenes that show the relationship between certain characters including the MC. It is starting to take off in the right direction now, with there being a twist currently happening. I have now finished the first season (25 episodes), but I am keeping my review the same. Except the fact the fighting seemed more tense towards the end, along with more twists and turns. I grew to like the MC a little more even though he is slightly still annoying. But as I said, i am keeping my review as it is.